Oracle works in a number of ways with major donors to ensure their gift is utilised in the most effective way. Some donors prefer to make a one-off donation to support a particular project with other donors raising sums over a set period of time to support a particular project. However you wish to donate to Oracle, we will work with you ensure your major gift is recognised and deployed in the most effective way. By committing to cover the costs of a particular research project, you will receive a number of unique benefits and personal updates on the impact and progress of your funded project. Fellowships are set up for a number of reasons: to restrict a major gift; to remember an individual; to collect the fundraising proceeds from a group of individuals or company employees. If you are interested in discussing the option of setting up your own Fellowship, please contact us. Established in 2014, the Mark Donegan Fellowship was set up in memory of Mark Donegan (pictured), the former CEO of an investment company, Altima Partners, who sadly died from throat Cancer in February 2014. The Fellowship was set up to fund specific research projects under the guidance of Professor Kevin Harrington and is currently funding Dr Joan Kyula and Dr Victoria Roulstone’s reo-virus project at the Institute of Cancer Research. Former throat cancer patient Julian Gilbert and a Committee of friends raised over £40,000 through fundraising events and donations between 2017-8. 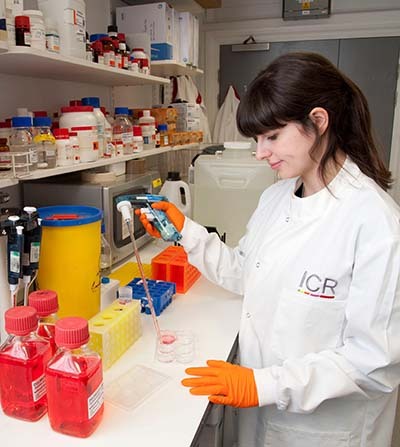 This fundraising was restricted to support the costs of research by PhD student Alexandra Rose as she investigates new treatment options for adenoid cystic carcinoma of the salivary glands. Read more about Julian’s Journey campaign and Julian’s own cancer story. Oracle Cancer Trust is a registered charity in England and Wales (1142037). A company limited by guarantee. Registered company in England and Wales (7125497). Registered address: 10 Parsons Green House, 27 Parsons Green Lane, London SW6 4HH.